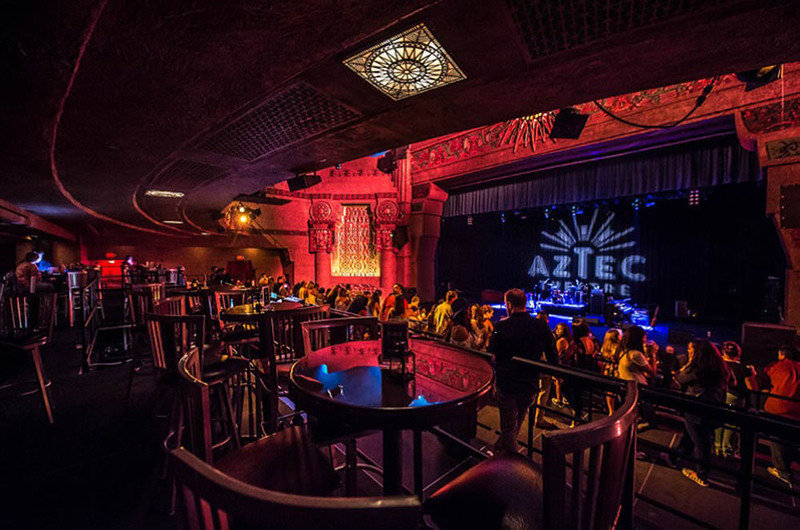 The Aztec Theatre Legendary Venue, Epic Events! 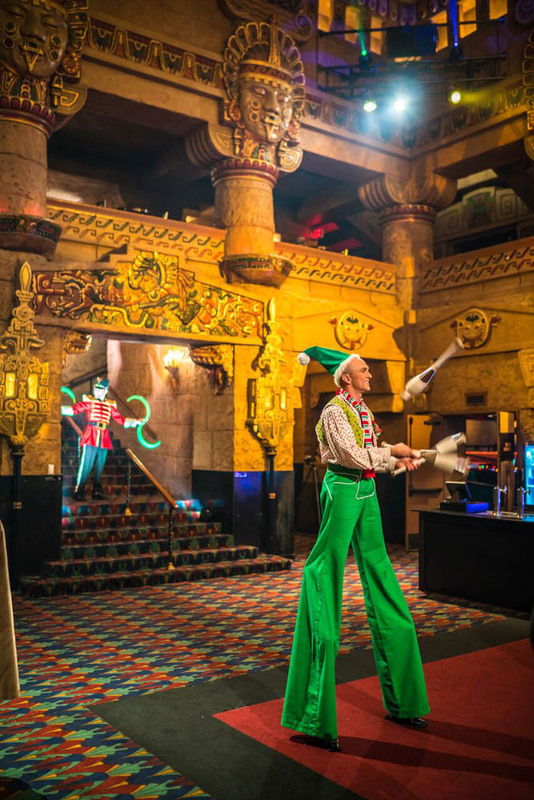 Built in 1926, The Aztec Theatre is San Antonio's premier events facility and considered by many as a Mesoamerican architectural work of art. 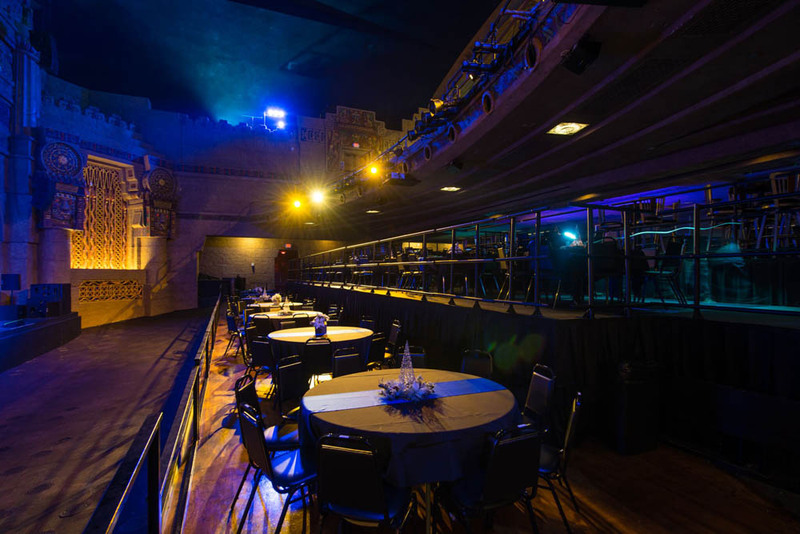 As one of the Alamo City's most cherished historical landmarks, it is the perfect location to host your corporate event, private concert, wedding, reception or business meeting. 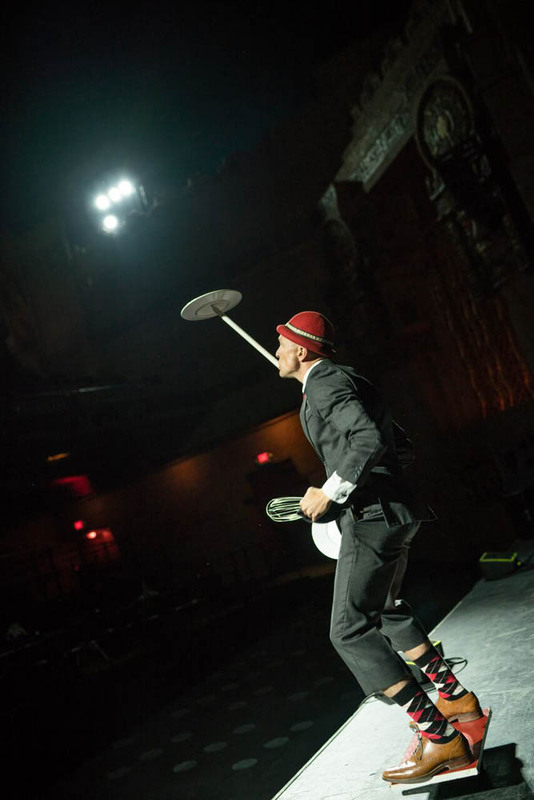 Located just blocks from the Henry B. Gonzalez Convention Center, Aztec Theatre accommodates 25 to 1,500 guests, and our talented staff handles every detail, so you don’t have to! 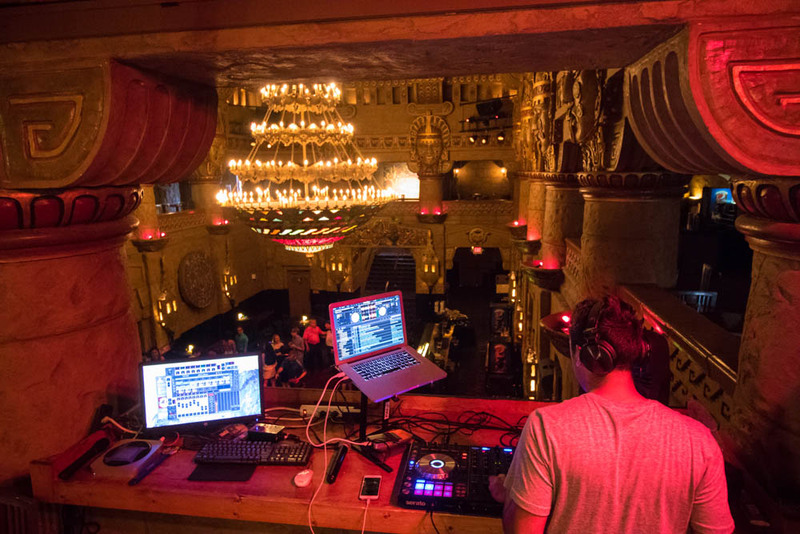 With its dramatic combination of authentic columns, reliefs and artifacts, the Aztec Theatre boasts 10,000 square-feet of versatile event space, along with access to the world’s greatest musical entertainment, full-service event production, state-of-the-art lighting and sound, custom menus and mixology. 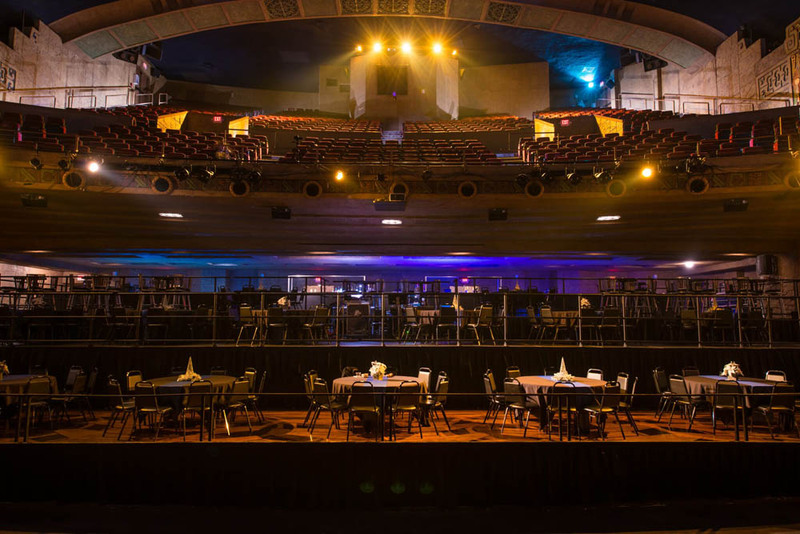 Its multi-tiered Music Hall is ideal for hosting receptions up to 1,000 and seated events for 250 guests. The two-story Lobby evokes awe with its ornate décor and famed chandeliers. For more intimate gatherings, the Warrior Room is a welcoming location for smaller groups. 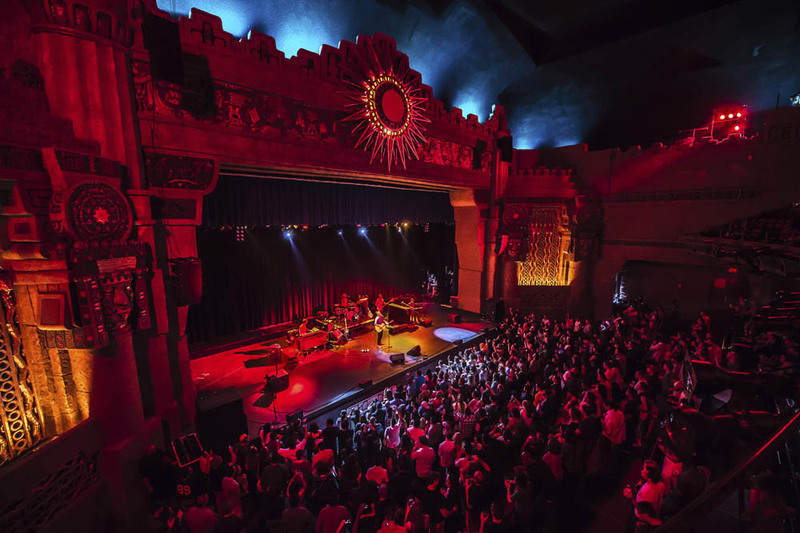 Equipped with an open multi-tiered event space and a concert stage, the architecturally significant Music Hall is sure to elevate your special event. 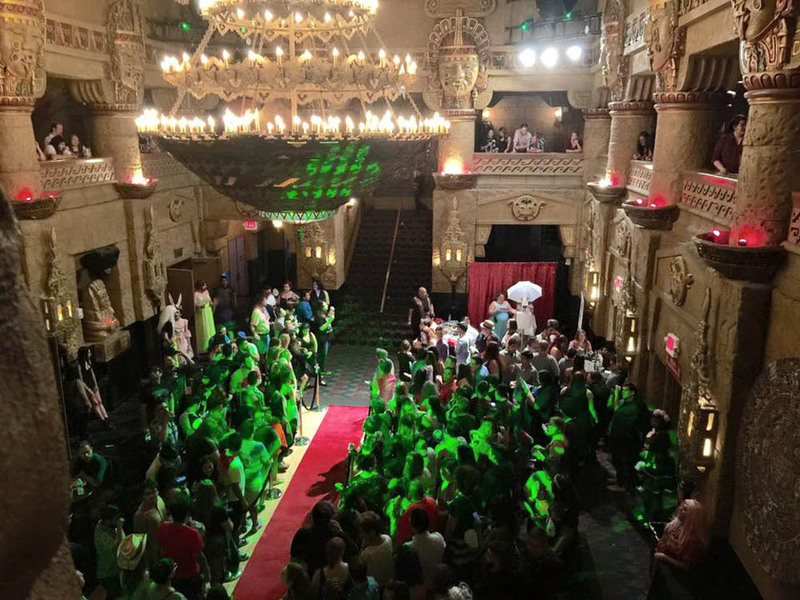 A main floor, balcony and stage provide a variety of possible event configurations. This two-level, 1,100 square-foot Lobby features a stunning chandelier, hailed as the largest in Texas at the time it was installed in 1929. Guests can enjoy a cocktail at one of the four bars or gaze at the magnificent artwork and architecture from the 2nd level balcony. This 1,700 square-foot VIP lounge is furnished with lavish sofas, wing-back chairs, plush cocktail seating and a private bar. Equipped with Bluetooth speakers and 60-inch TV screens, the Warrior Room is a versatile and intimate reception space that can accommodate up to 100 guests giving them the ultimate VIP experience. I'd like to receive special events updates from The Aztec Theatre. Plus, get highlights and exclusive offers from Live Nation Special Events.